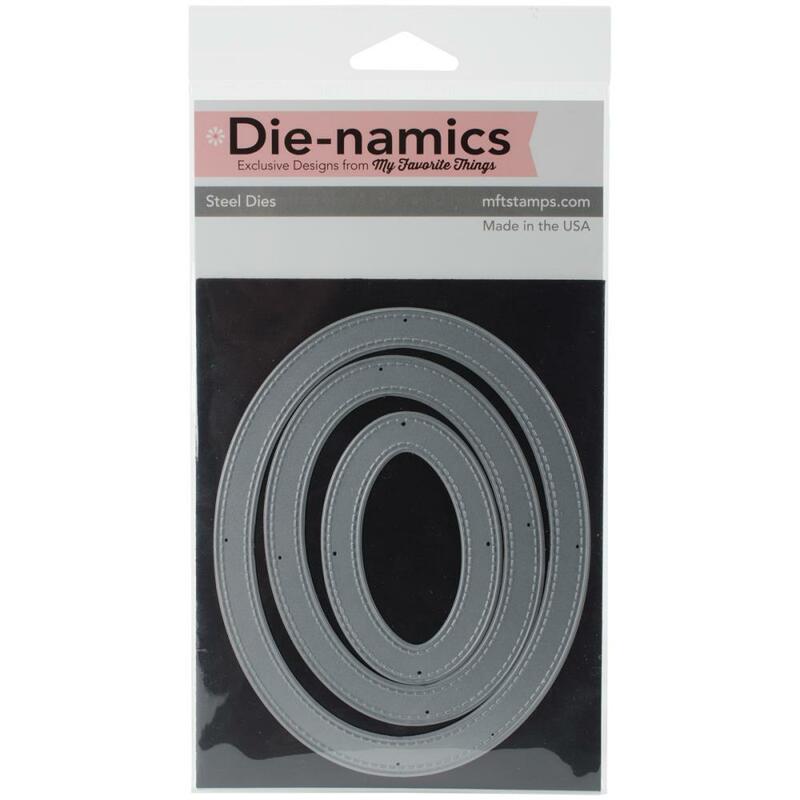 My Favorite Things-Die namics Dies. These steel dies will cut through cardstock, thin chipboard, 1/4 inch cork, felt, acetate, sticky back canvas, fabric, denim, sandpaper, 2mm craft foam, wood veneer paper, photo magnet sheets and much more! They work with virtually any die-cutting machine that will accommodate wafer-thin dies and are sure to become an essential ingredient in your paper crafting process. 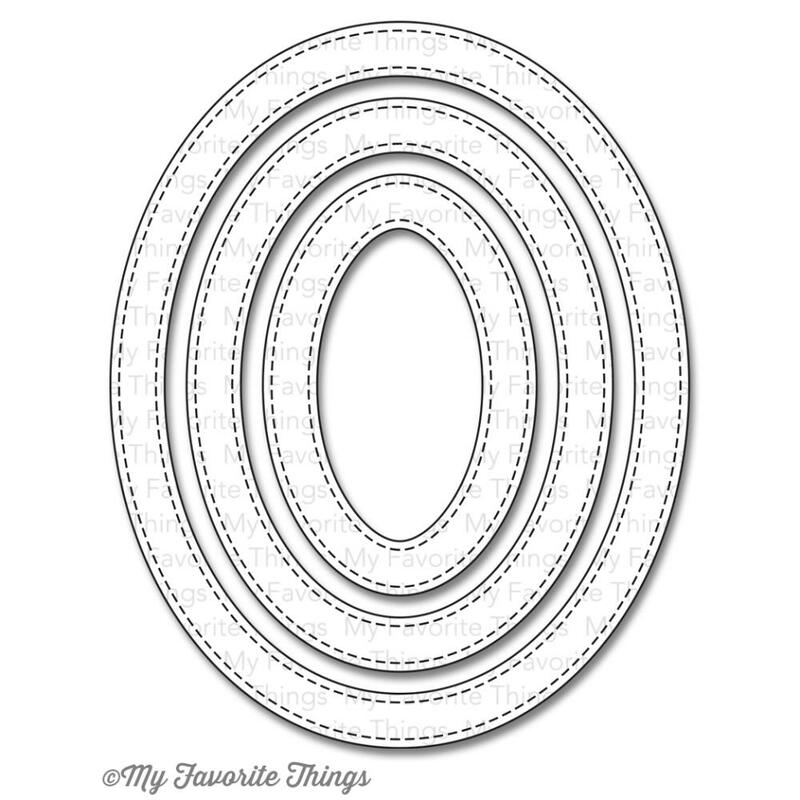 This package contains Stitched Oval Frames: a set of three dies on one 5-1/2x4-1/2 inch magnetic sheet. Made in USA.